Ruby's birthday was over a week ago and I never did post any pictures. 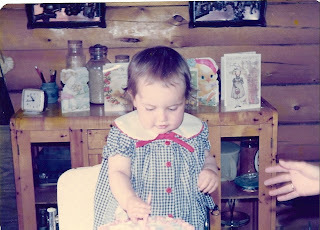 So just for fun... here are pictures comparing me on my first birthday and Ruby on hers. 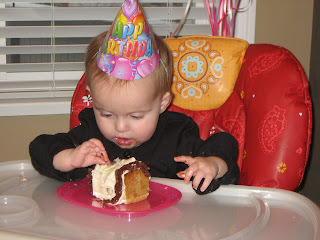 That is pretty cool she had the same reaction to the cake as you! She is your clone!!!! Your hair was darker, that's it! AMAZING!! You totally have a mini-me! Holy cow. Look at the two of you! Other than your darker hair you look the same!